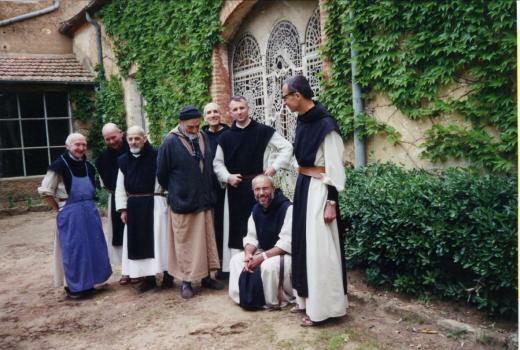 In 1996, seven French monks were kidnapped by an armed group from a monastery in Algeria (Tibhirine) and later found murdered. Why did these men chose to remain in a country torn by civil war ? Ten years on, film-maker Emmanuel Audrain went to Tibhirine to record their story. The film reveals Christian monks deeply committed to Algeria and to their Muslim neighbours. In the context of increasing violence that engulfed them, these quiet men chose solidarity, non-violence and peace. They paid that decision with their lives. Coproduction .Mille et Une. Films / France 3 Ouest / TV5. With CNC / Région Bretagne / Région Pays de la Loire / Procirep-Angoa. Award « Armen » to the Festival de Douarnenez • Award « Mémoire de la Méditerranée », CMCA Marseille.